Spray 10-inch skillet with cooking spray. Cook chicken in skillet over medium-high heat 8 to 10 minutes, stirring occasionally, until no longer pink in center. Stir in seasoning mix, beans, corn and water. Reduce heat to medium-low. Cook 4 to 5 minutes, stirring frequently, until sauce is slightly thickened. 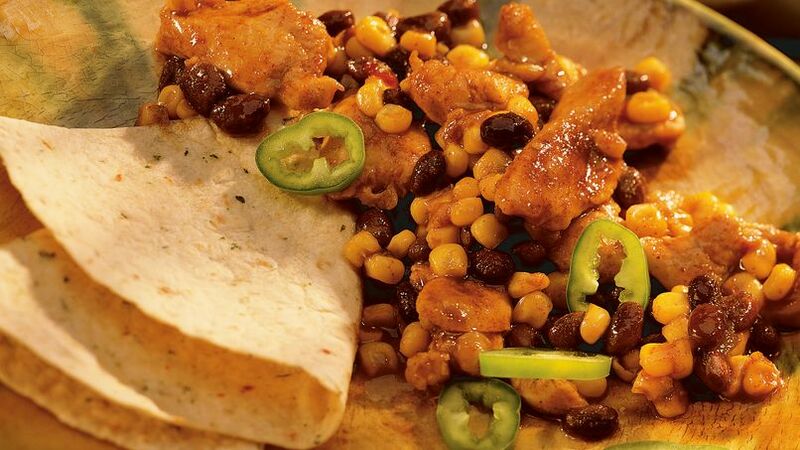 Serve with tortillas. Boost your fiber with a bean and chicken breast skillet dish table-ready in 30 minutes.